This black Gotcha café chair started as a very simple idea, the plan was to create an oversized chair with a divided backrest optimized for comfort. 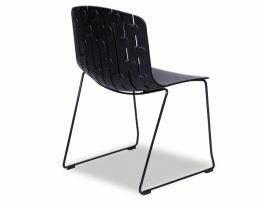 Ultimately, this black café chair took on a subtle modern look that makes it a great fit as a black modern kitchen chair or a striking commercial dining chair for your café or restaurant. 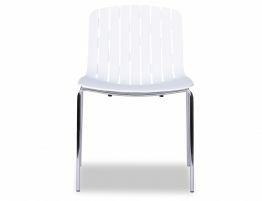 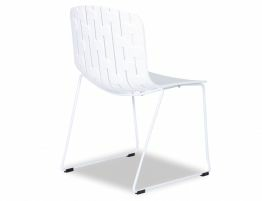 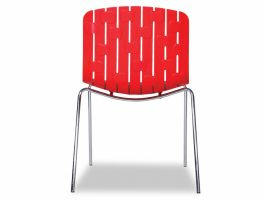 The black Gotcha café chair is sturdy and great for busy family kitchens, bustling café or restaurant dining rooms. 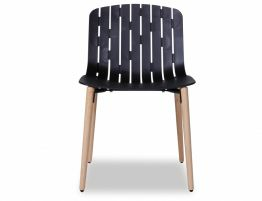 This modern black dining chair looks sharp with clean lines and a distinctive modern feel. Spanish designers Enrique DelAmo and Angel Marti have successfully designed a timeless piece of furniture that is Gotcha dining chair range.